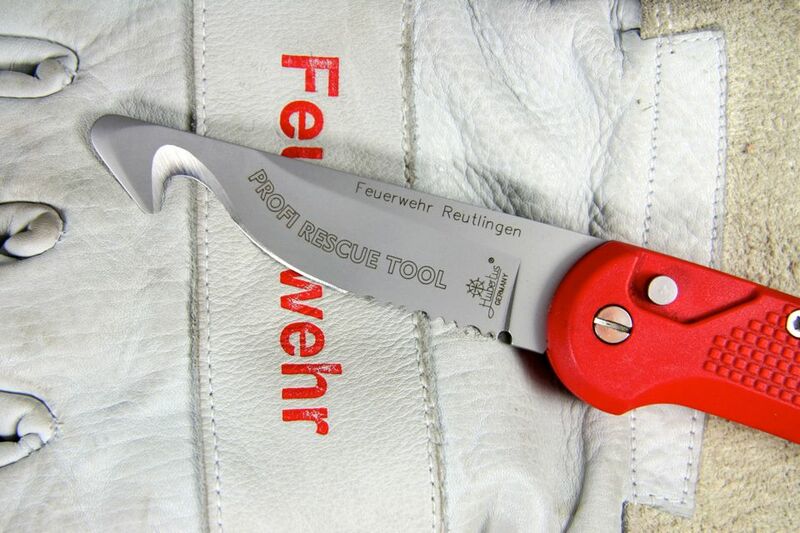 Our innovative rescue knive Profi Rescue Tool completes the protective equipment of more than 1.800 fire services and emergency rescue services. 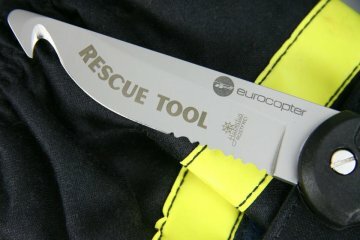 Already in the year 1978 we introduced a knife with the name Rescue Tool and improved it in several steps on the basis of practitioner's suggestions. 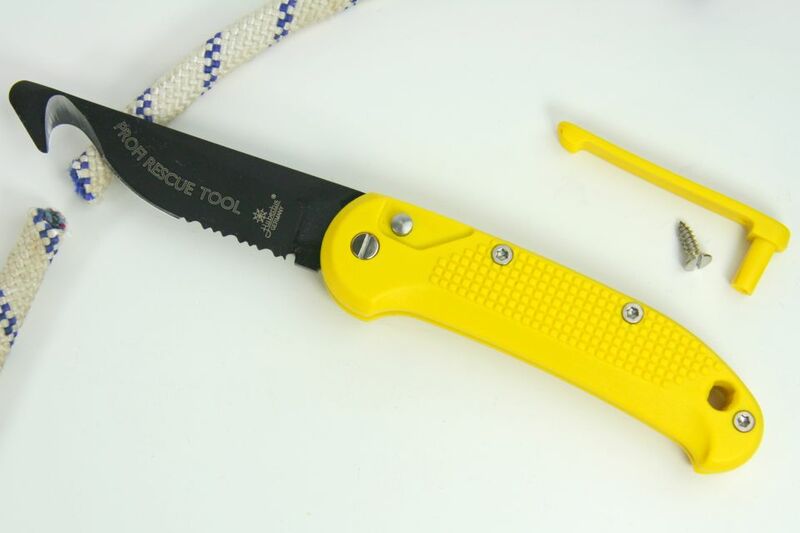 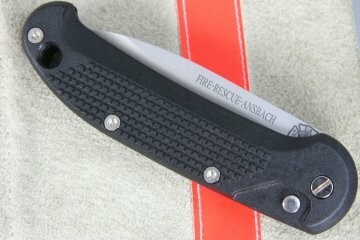 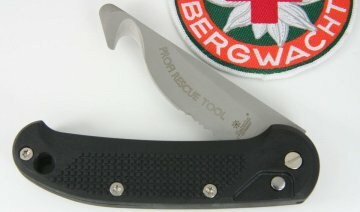 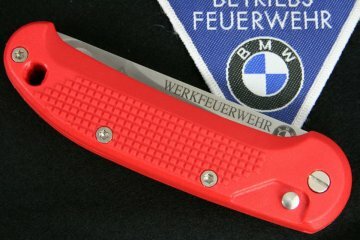 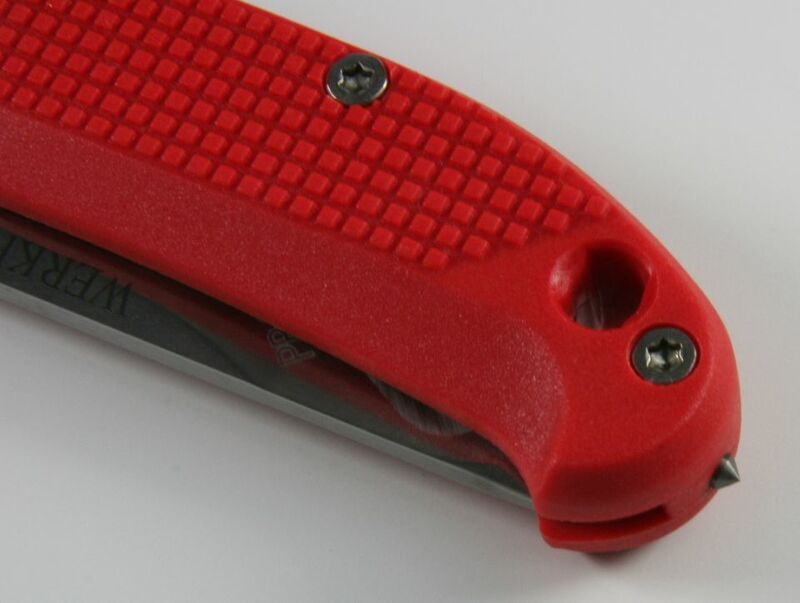 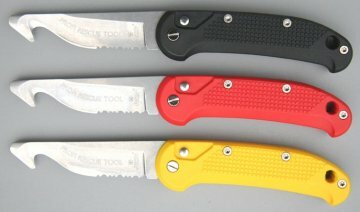 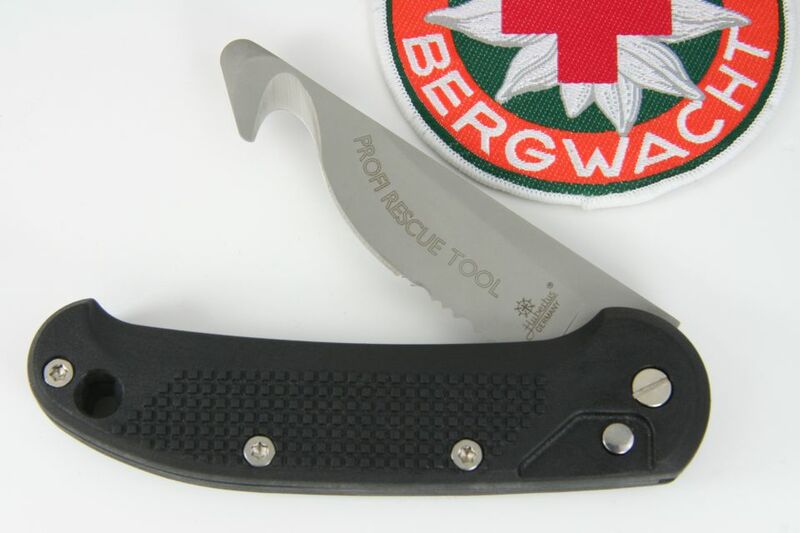 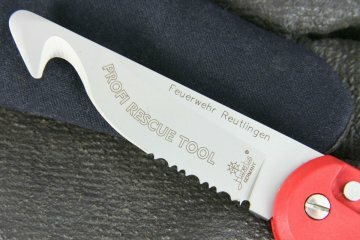 After the magnification of the tear hook we labeled the rescue knife HUBERTUS Rescue Tool S and the current model is called HUBERTUS Profi Rescue Tool. 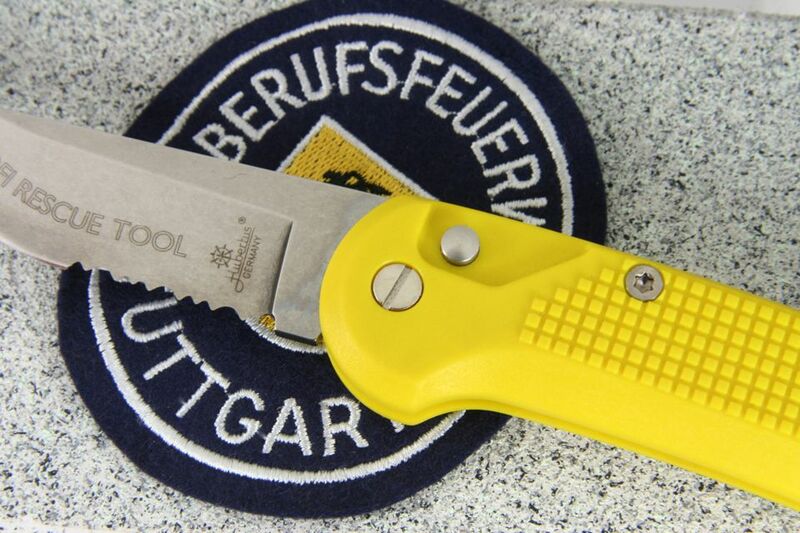 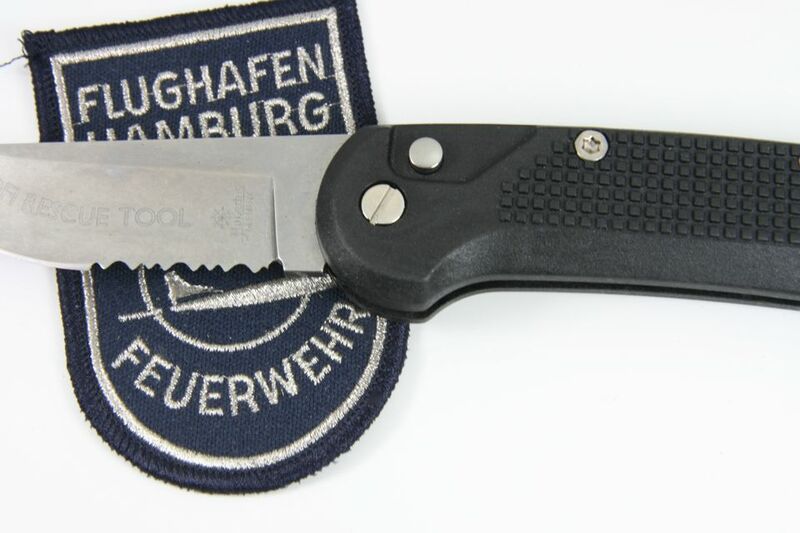 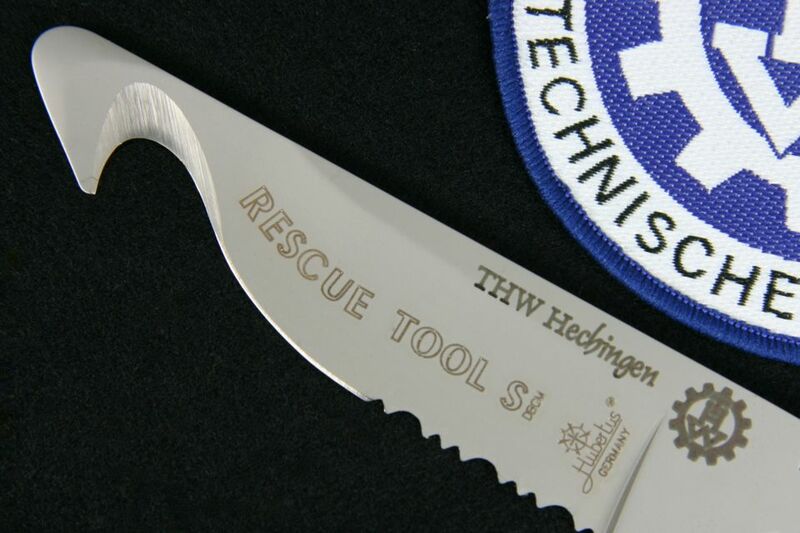 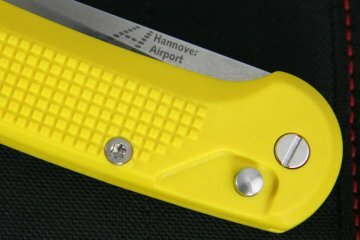 Length of the handle: 12 cm / 4-3/4"
Our HUBERTUS Profi Rescue Tool received serveral awards, for example of the Technologiezentren Wuppertal-Remscheid-Solingen, the journal VISIER and the journal MesserMagazin (winner in the category folding rescue knife in the year 2000). A special black coating of the blade can be of additional benefit for particular purposes. Our black TEFLON ® coating minimizes light reflection and can positively affect the cutting attitude of certain materials. 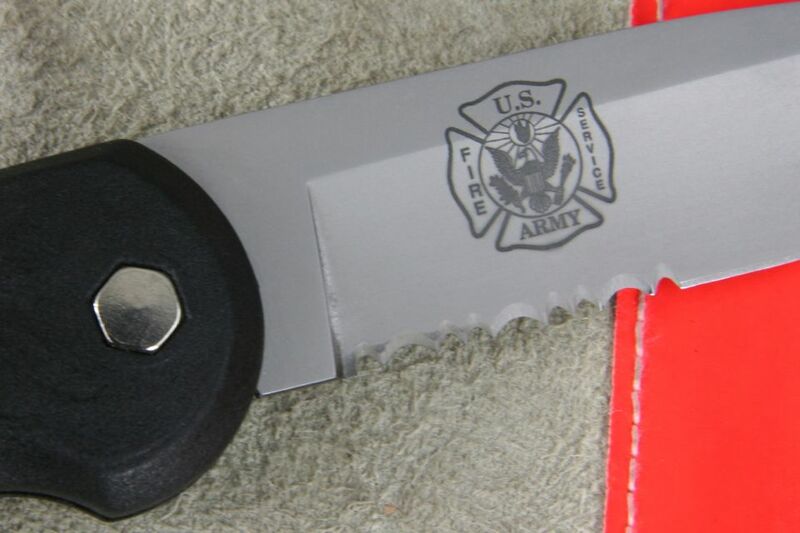 In practice the black coated blade is for example used to rip hazmat suits in emergency situations. 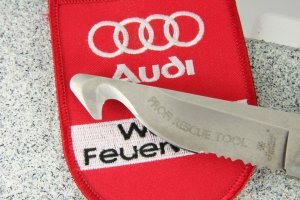 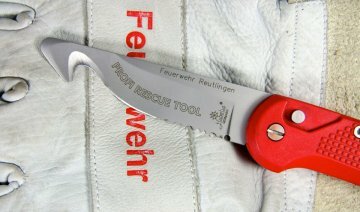 The technical details and the scope of delivery are equivalent to the HUBERTUS Profi Rescue Tool. Windows in automobiles are serially produced of safety glass. 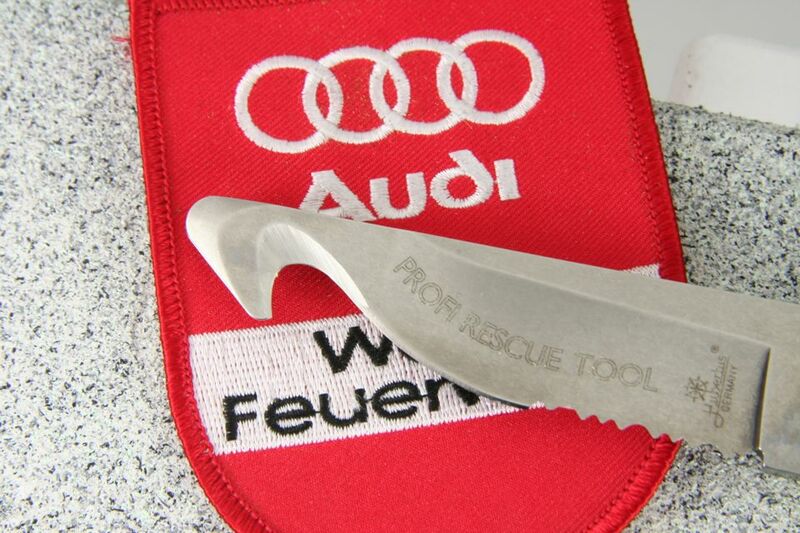 To break it, we equip our rescue tool with a glass graze at the back of the handle on customer requests. 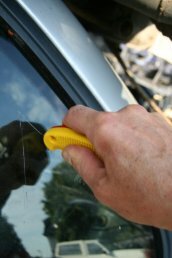 A light circular, triangular or rectangular marking on the window suffices to destroy the scarified part of the window by a slight hit in a second step. 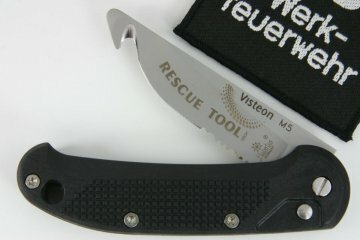 In a third step the whole window kann be remoted. 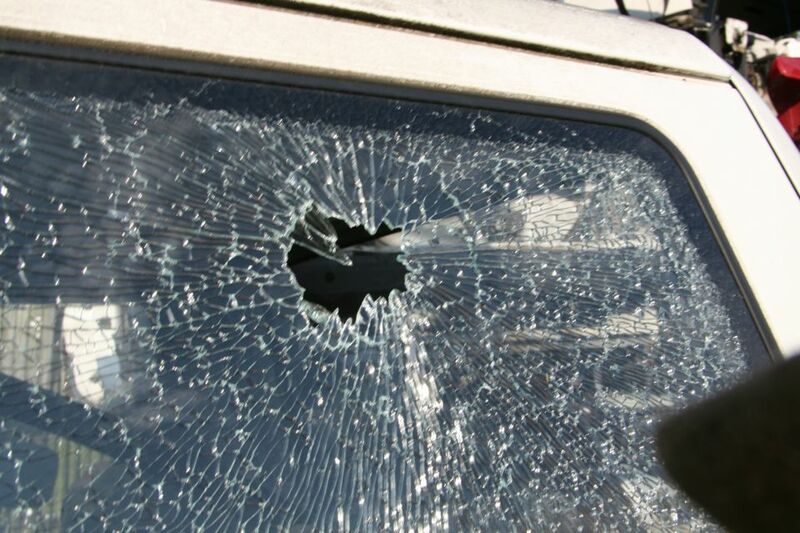 By using our glass breaker an accident as well as injury risk for all persons involved is minimized respectively virtually completely excluded.